I don’t know about you, but one of my favorite things about Fall and the ensuing Holiday Season is… yep, you guessed it! The goodies! I have a sweet tooth that could compete with the best of them. Fudge, cookies, cakes, brownies, pies… man, oh man… I think that’s what heaven will be like! He-He! So, for my Fall Celebration here’s a recipe you’ll FALL in love with. Corny, I know. All right, I’m done. Promise. Preheat oven to 350 degrees. Line muffin tins with paper liners. Combine flour, baking powder, cinnamon, nutmeg and salt in a bowl. Beat in the butter and sugar. Add the eggs and mix well. Beat in the vanilla. Add the milk. For a less intense spice taste, add another 1/4 cup of milk. Pour the mixture into the muffin tins. Bake 15-20 mins. Cupcakes are done when the top is golden brown and springs back to light pressure. You don’t have to frost, these make yummy muffins too, but I like them with a light cinnamon powdered sugar glaze. Enjoy. Store any extra in an air tight container for best freshness. Mmmm! 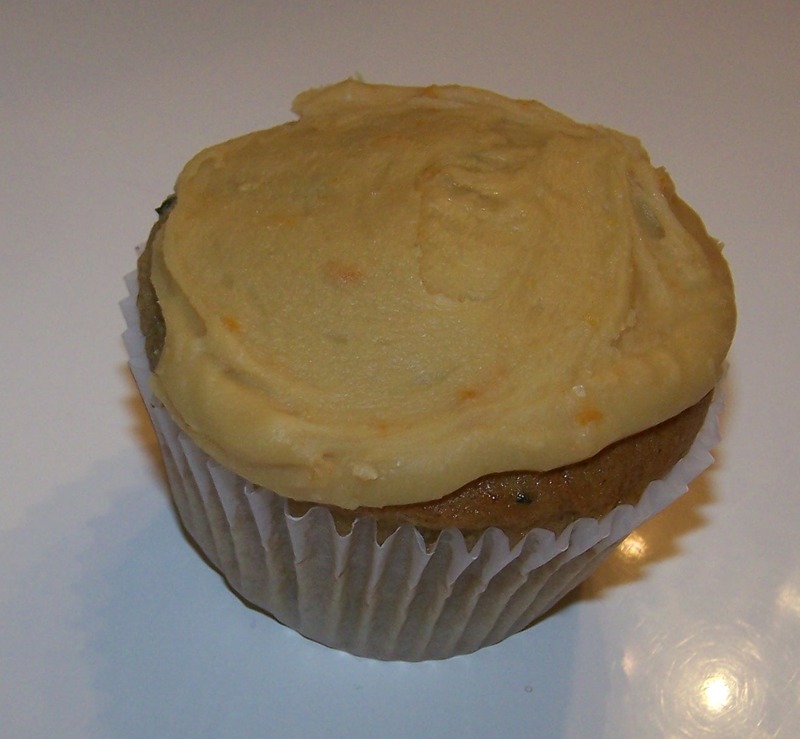 I also add some canned pumpkin to my spice cupcakes sometimes. I love all these great fall flavors! Thanks for linking up to Topsy Turvy Tuesday’s!